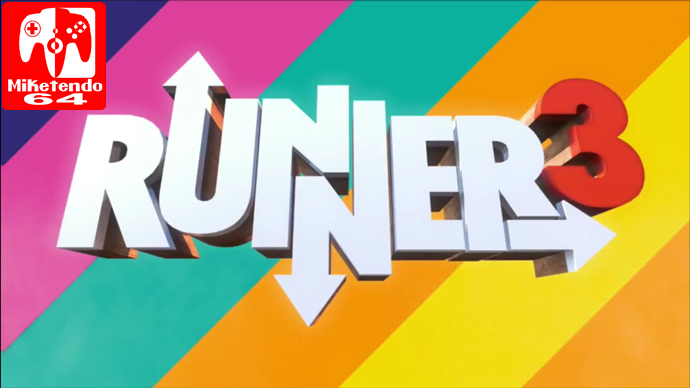 [Press Release] Choice Provisions + Nicalis = Retail Release of Runner3 for Switch! I guess it’s time to fall in love with Nicalis all over again! SANTA ANA, California, December 13th, 2017 — Nicalis, Inc. announces today that the eagerly awaited Nintendo Switch™ action game Runner3 will speed into retail next year. The all-new chapter of the critically acclaimed Runner series will appear in North American retail stores in early 2018 with a suggested retail price of $39.99. Developed by Choice Provisions, Runner3 continues the endless platforming adventures of the stoic, unflappable CommanderVideo. The “hero in high tops” leaves a multicolored trail in his wake, punctuating the beat of the game’s infectious soundtrack with every step. Like Runner2, the new game will also feature the voice-acting talents of none other than Charles Martinet, legendary voice of Mario and dozens of other popular Nintendo characters. “We know everyone’s going to love Runner3, but I’ll bet you’re going to love it even more in tiny little cartridge form,” says Choice Provisions co-founder Alex Neuse. “Just try not to lick it—play it!” adds Mike Roush, also a co-founder of Choice Provisions. Runner3 includes some surprising new features, like branching paths, item shops and vehicles that CommanderVideo can take for a ride. The game also features new playable characters, new gameplay modes, new moves and an assortment of Hero Quests and retro challenges. Nicalis’ retail edition of Runner3 for Nintendo Switch is currently planned for release in the first quarter of 2018. More details and a specific street date will be announced in the near future.